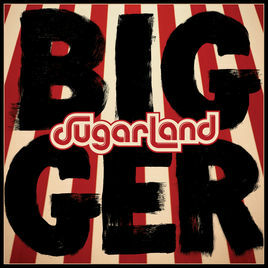 June 8th marks the upcoming release of Sugarland's newest album (and first album in eight years), Bigger. Holding eleven tracks that are distinctly 'Sugarland' whilst also showing a development in their sound, Bigger certainly lives up to expectations. The album opens with the title track, an infectious ode to people who were "born for better days". The punchy production urges you to tap your feet along and offers a compelling back-drop to Jennifer's lead vocal. Bigger feels like a great choice to open the album, a track that I am sure will become a firm favourite for a lot of listeners. Interestingly the mellow Latin-American sound of Let Me Remind You works incredibly well. Reminiscent of Jennifer's That Girl, the intoxicating production is certainly one of the strongest within the album, I defy you to sit still! The track also sees Kristian take the lead for a short section, with both Jennifer and Kristian sounding completely comfortable throughout. I sincerely hope we see this as a future single, Let Me Remind You has fast become my favourite song on the album. There is a distinctly 'summertime' feel to a large part of the album and this is built upon with Lean It On Back. With the production lead coming courtesy of a recurring guitar and drum hook, the various parts of the track come together well and easily hold the listener's attention throughout. The ebb and flow of Lean It On Back makes for a compelling overall listen, with subtle differences between the chorus' and verses adding further dynamic interest. The intrinsic sadness behind Love Me Like I'm Leaving is grounded through an emotive vocal performance off the thought-provoking lyrics. A little over halfway through the song, the instrumentalisation falls away and offers the listener a delicacy that sits smoothly alongside the subsequent and previous production, serving to highlight another aspect of the song. A touching song that sounds polished yet natural, Love Me Like I'm Leaving is also the only song on the album that sees a co-writer credited alongside Jennifer and Kristian (Tim Owen). Generally the overall sound of this album is incredibly impressive however there were a couple of sings that I didn't find as compelling. On A Roll for instance as a whole is very frustrating. 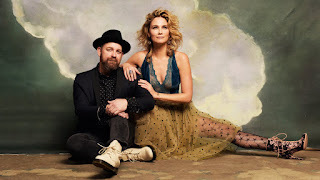 The disco style groove behind the track is great however the 'rap' in the middle of the song takes the shine off it, a shame as 'raps' in previous Sugarland tracks like Stuck Like Glue were a lot more successful. The lyrics also feel a little repetitive, a little frustrating after a few listens. It also feels like Tuesday's Broken falls a little short. I'm sure there will be plenty of fans of the track however for me there are certainly stronger tracks within this album and also within previous releases. Unfortunately Jennifer's vocal feels a bit forced at points, suggesting perhaps the production choices weren't quite right as the instances where her vocal is softer are very emotive. 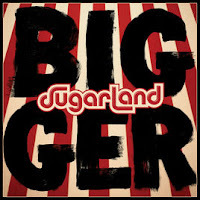 Bigger is certainly a very impressive addition to country music, full of compelling songs grounded by descriptive lyrics and commanding vocals. Welcome back Sugarland! Steve Moakler - "Born Ready"
Luke Combs - "This One's For You Too"